I struggled with this essay because it is not a mere review describing the detailed examination of the elements or the structure of a power amplifier. Rather, it is part of a perspective that very much considers the consciousness of critical listening. Or, to put it in other words, the awareness by the mind (mine) of itself and as it relates to music reproduction -- audio. Let's begin with an appropriate statement regarding subjective audio evaluations of reproduced sound quality by ear -- Inner Ear, in this example. It is based on the notion that audio equipment will be used to listened to -- and how it sounds like is more important than how it measures. This brings us to high-fidelity, which leads us to the hypothesis that a component or an audio system should reproduce what is fed into it, without anything added or subtracted. So what should it sound like? Well, of course it should sound like "the real thing," A system, if accurate, will reproduce what is on the recording -- and it is here where the variables come into play, because If the recording itself isn't a true to life representation of the original, an accurate sound won't be feasible. But what does the recording sound like? That's hard to tell because one can't judge the fidelity of a recording without playing it. Additionally, one can't judge the fidelity of the audio system without listening to it, obviously by playing a recording through it. That means that each is used to judge the other making it difficult to tell much about either, apart from whether the combination sounds real to the listener. However, I believe it can be done. The motivation for this essay was my earlier listening experiences while auditioning the Tenor monoblocks -- the 350M -- a few years ago and my life with the 175S -- Tenor's less expensive stereo model amplifier -- with which I have lived for over a year. There is a lot to tell -- and I'll get around to it later, but for now and without much ado, I'd first like to show my notes -- written over a rather long time period -- that best describes what I have observed and noticed. The following is based on the 175 S Tenor amplifier being connected to many loudspeakers I had in-house and at other locations -- and a few different preamplifier (sadly not the Tenor) and source components. It should be known that this amplifier is a hybrid design and likely the best available for vacuum tube fanatics as well as solid state enthusiasts who are seeking the maximum possible emotional impact and a clear uncoloured window into a musical performance. What I am tying to say is that the Tenor is without colouration in any normal sense of the term. Though it measures flat with no harmonic and inter-modulation distortion, my listening sessions indicated that it reveals at least as much detail into compatible loads (loudspeakers) as any amplifier I have ever listened to. 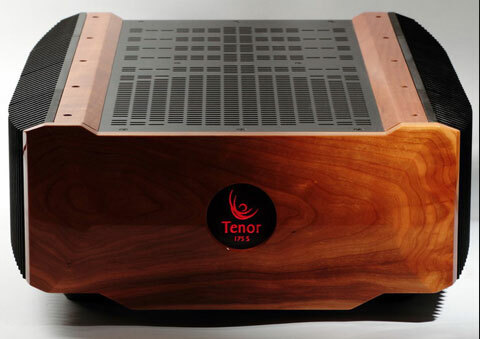 The Tenor amplifier is so natural and convincing in overall sound characteristics that only few designs might qualify as its competitor. Though I hesitate somewhat to call its sound "romantic", it seems the only befitting way to express this design's extraordinary sonic character. It has it all -- all the parlance we use in the audio business: Sweet, warm, transparent, dynamic and musical. This is apparent with a very wide range of music. Unlike many amplifiers that have great transparency, the male and female solo vocals have their full body and impact; strings (very difficult to reproduce without excessive unpleasant force) preserve their organic intensity without adding or losing realism; orchestral music has natural power and convincing detail in both soft and fortissimo passages. Solo instruments never seem to be suspended in mid-air and thus, a bit unfinished. Instead, they are quite focused, yet surrounded by plenty of space. The 175S provides bass I believe is by far the most organic, rhythmic and palpable one I have encountered. With my Ethera Vitae loudspeakers, it is prodigiously fast, dynamic and controlled. The same held true when I connected to the Aatma (see review) and the WLM Gran Viola loudspeakers. Lower midrange -- from about 150 to 300 Hz -- is intense and rich, especially noticeable when listening to live recordings. Midrange is convincingly transparent and dynamic without attenuating or increasing the lower midrange -- uncanny, and maintaining the smoothest transition into the high and bass regions -- better than I have ever heard from any of the high-end designs I have auditioned. The entire midrange area is probably the most critical segment in any design and the 175S does it right and without effort; the lower midrange and upper bass power and dynamics mirror the capability of a live performance and the reality of sitting in a concert hall. The Tenor's highs rate high. They are the very best I have heard and are superior to the best vacuum tube designs of which I know. They culminate better than the sweetest-sounding amps, but do come across sounding sweet -- as in melodious, lyrical, mellifluous, musical, tuneful, soft, harmonious, silvery, honeyed, mellow, and rich. Never a dull (moment ) tone. Lastly -- imaging. The ideal multi-dimensional sound-stage is one that authentically recreates the physical environment in which a recording is or was made, and its acoustical properties. I believe that the Tenor provides a wide, open, airy and live sound stage with natural, uncontrived imaging whereby centre-fill, depth and stability is so good as to transcend the speakers' location, the listening room (provided it isn't a bathroom) and all the gear necessary to achieve all that. Bottom line: Sound-stage representation was really great in my house (and even better at my friend Sol's house who has a well-appointed listening room superior to mine and two Tenor amps for by-amping WLM loudspeakers). It seems that the amplifier is not load dependent and handles various loudspeaker designs with equal, or at least similar effectiveness. Though the Tenor amplifier can drive, even improve any decent loudspeaker, I would suggest to use but top-performing makes and models for an amplifier this good, The same holds true for cables and source components and, of course, the preamplifier. If the $75K Tenor preamplifier is a bit too much, consider the ones I have used for this evaluation (I'll get to this later); they may not be the ultimate in performance, but then again they do not obscure the amplifier's resplendence. In plain English then: The Tenor 175S amplifier exceeded my expectations and an appropriate description for my listening sessions with this amp is that it was a seraphic experience -- quite a few steps above and beyond the sound I deemed excellent in the past. Notice the five musical notes never before awarded to any design. 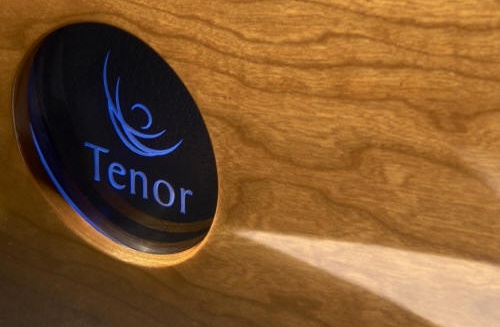 In Part 2 , I will add details, regarding speakers, preamp, wiring, visual appeal, and a little about what I have learned regarding the technology (a trade secret) used in all Tenor designs. ♪♪♪♪♪ - Yes! Five Notes!